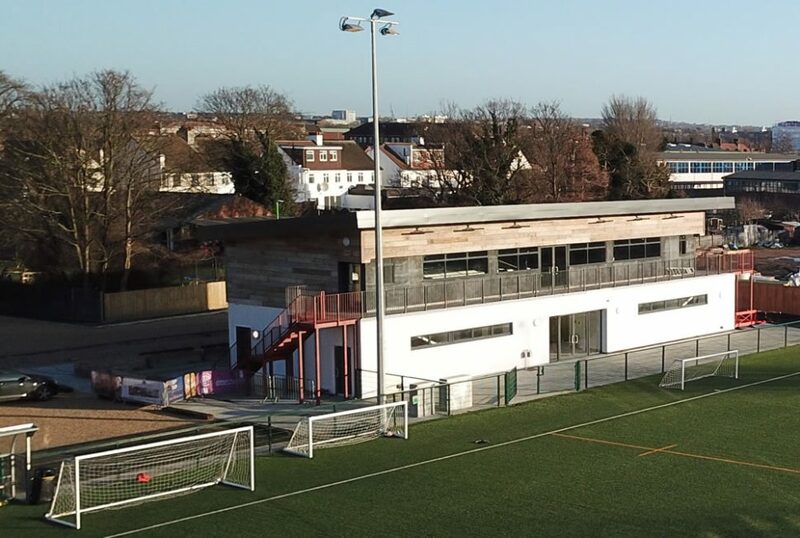 One of our most diverse projects to date has been the development at Club Des Sports in London. Formerly known as The Park Club, the facility spans 21 acres at the exclusive Park Club in East Acton. 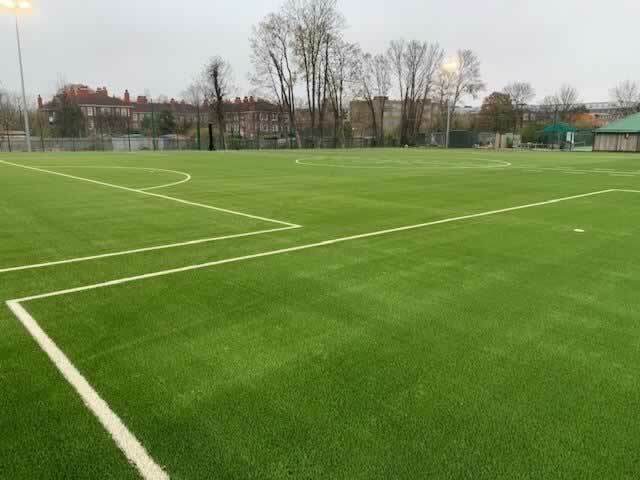 The initial contract was for a full size 3G pitch that met with all sporting code requirements. Additional works included a sports pavilion, floodlights, cricket wickets and a 640sq/m artificial grass warm up area. After installing a state of the art training pitch at Chelsea FC we met Club Des Sports’ owner Dan White while on a business trip to London. Dan, a lifelong Chelsea fan was really impressed with the artificial grass pitch at Cobham and struck up a conversation. This installation consisted of 8000 sq/m of our Terra Turf artificial grass with shock pad. The project also included all groundworks and fencing. Dan was extremely happy with the works carried out, as a result PST Sport were contracted for several additional projects. Following on from the all weather pitch installation we installed 5 ECB approved cricket wickets with netting and a tarmac net ball court followed by the installation of sports floodlights for the full size artificial grass pitch and three tennis courts. 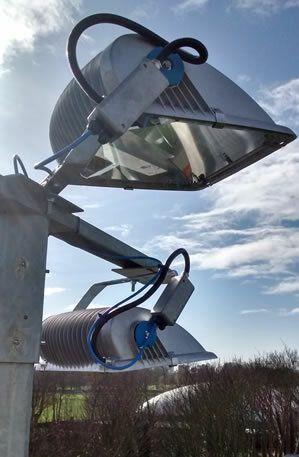 The floodlights consisted of 10 columns and 26 2kw lights. This completed Phase 1 of the project. PST Sport was also contracted for Phase 2 of the development which included the construction of a 400sq/m sports pavilion to include 4 no. dressing rooms and 2 no. referee rooms on the ground floor along with an exercise area and spectator balcony on the first floor. Additional works included the installation of a 640sq/m artificial grass warm up area including shock pad and 1.2m fencing. “As the Managing Director and owner of the Park Club, I have been at the forefront of innovative sports facility development for 45 years. In this time, the Hogarth Group opened the first 6 court squash club, with three courts on top of three, in Lambton Place. Following this, we opened the Hogarth Club in 1980, which was the first American style gym in the UK and kicked off the Health Club revolution we see today. The Park Club followed in 2000 and saw an outdoor pool, now de rigeur in all top–end family clubs. The job has been delivered on time and on budget, without any issues whatsoever. 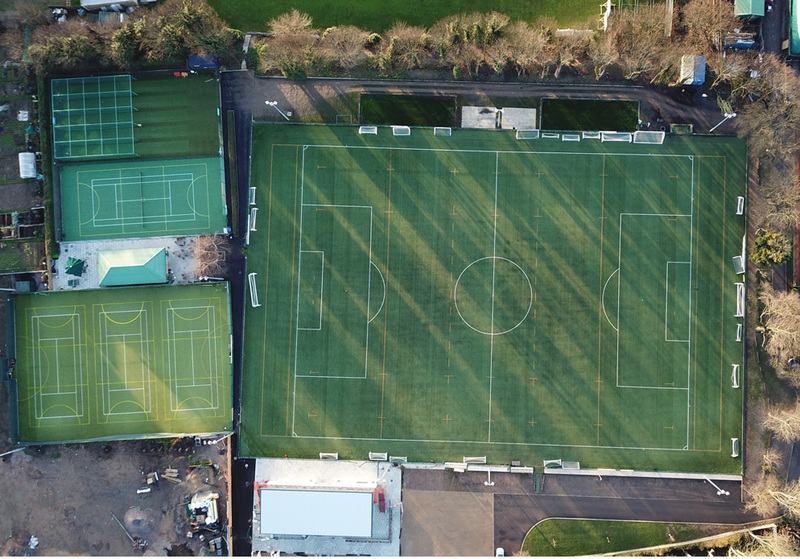 In November 2018 we completed the installation of a 3,850m astro turf pitch with our Superb 45, an extremely robust artificial grass carpet with heavier fibres and a 12-year warranty from our Superb range. Works included all related sub-base works, which were quite complex for this particular project, and drainage.